After conducting eye exams on thousands of eyes over the past 20 years, I’ve learned that patients can get pretty nervous when you start doing things to their eyes. In fact, I’ve been hit with just about everything—including a shoe—by patients attempting to keep me from putting drops in their eyes! 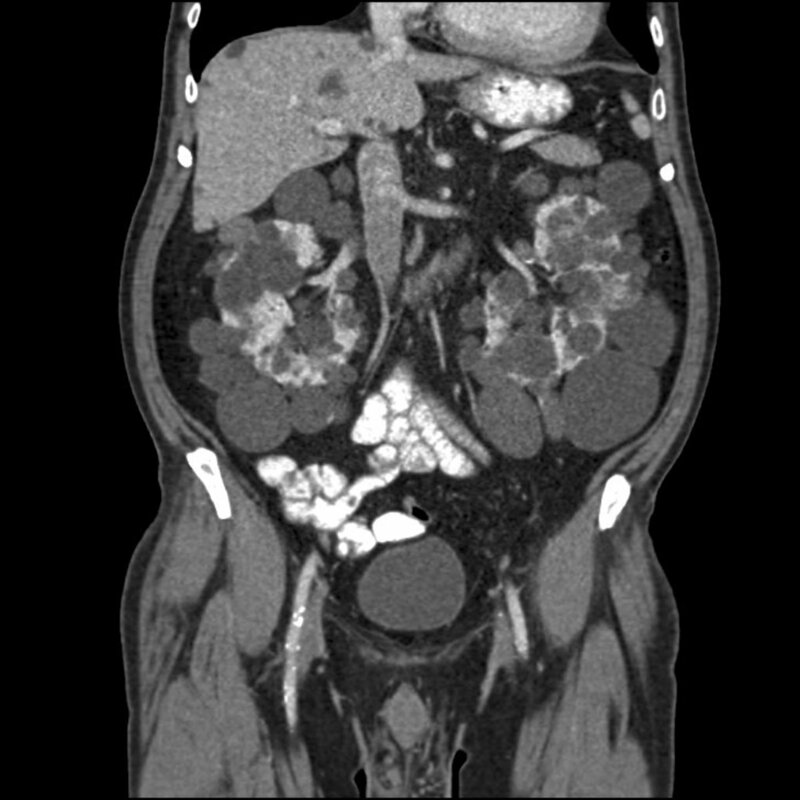 In an effort to save patients from having to throw their personal belongings (and to help keep other technicians from getting hit with those objects), this article will divulge all of our best-kept secrets. These tips will not only make it easier for you and the staff; they will also help you get the most thorough eye exam possible. In the interest of efficiency, you need to tell your tech exactly why you are there. For example, if you want your reading prescription checked, tell the tech in the beginning, especially before drops are instilled. Unless you’ve had cataract surgery, or are over the age of 70, reading prescriptions can’t be checked once you’re dilated. It’s also a good idea to tell your tech at the beginning of your appointment so when they go to check your distance prescription, your reading vision can be checked at the same time. The reason the doctors have staff to do this part of the exam, is twofold actually. First, they need to see more patients. Insurance doesn’t pay what it should, and to compensate, doctors need to be able to see a higher volume of patients than would otherwise be required. Second, it is faster and more efficient for the patient…most of the time. 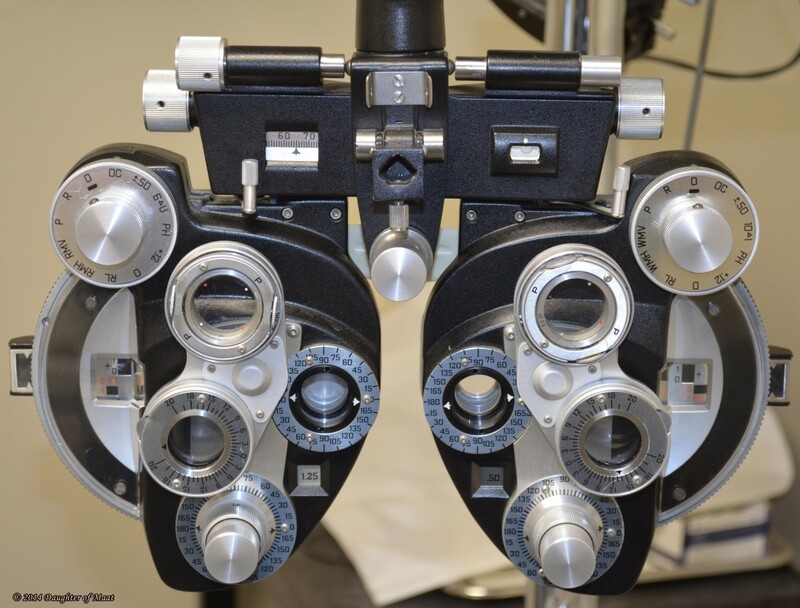 Getting through an eye exam is actually pretty easy if you have a technician who has years of experience. These techs know what they are doing, and they know how to make a patient feel at ease. When a technician in training conducts your exam it can get awkward fast. Follow these tips, however, and it won’t matter if your technician has been on the job for fifteen minutes or fifteen years. 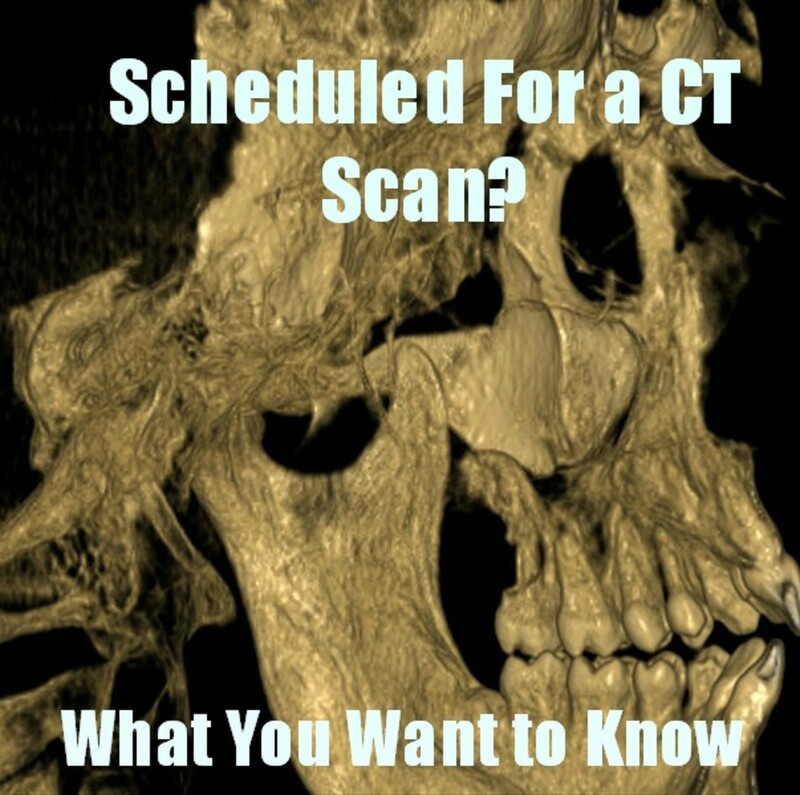 The problem with the history is that the technician needs to get a lot of detailed information out of the patient in about five minutes or less. Unfortunately, this isn’t enough time as many patients don’t know exactly why they are there, but they know they have a problem. Any allergies to medications, foods and anything else (it's important to let the tech know if you have any food allergies such as shrimp or other seafood; these foods contain iodine, which can indicate you may have an allergy to other dyes used in diagnostic testing such as fluorescein). Any medications you are currently taking – if you take any medications, either bring the bottles with you, or make a list with names, strengths (50mg? 100mg? ), and how often you take them because systemic medications affect the eyes! This is the one part of the exam every new technicians hate mainly because it’s very easy to get confused, forget to ask a question, or upset a patient. But this interaction is so important that it can make or break the exam. If a tech is not successful in gaining the trust of the patient, the whole exam will be inaccurate. 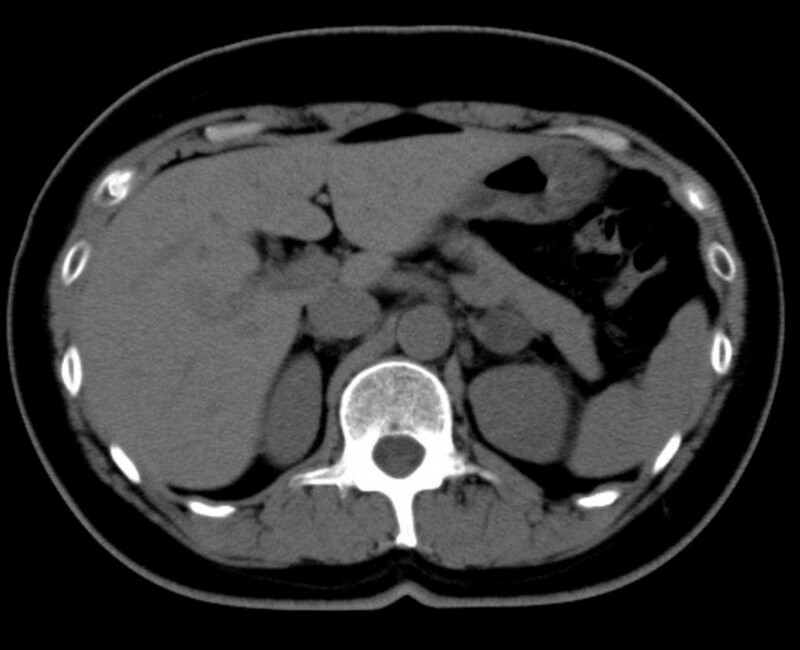 Did the symptoms occur suddenly, or gradually? Does it affect one or both eyes? If both eyes are affected, is one eye worse than the other? How often does it occur? Is it constant or intermittent? Are there any other associated symptoms? Do you have glare from oncoming car lights? Do you have difficulty reading up close? How severe is the problem? Do you have to be right up on the sign to be able to read it? Does anything make it better? Does squinting, or blinking help? Do your current glasses (if you have any) make it better or worse? I know it seems like you’re playing 20 questions, but if you know all the answers to these questions (or better yet, have written the answers down), your exam will take half the time, and be much more thorough. I can’t stress enough how important it is to tell your tech everything. If you don’t, and you end up telling the doctor something you didn’t tell the tech, you may have to repeat the exam. Not to mention, the tech will be reprimanded for not being thorough, even if it wasn’t their fault. 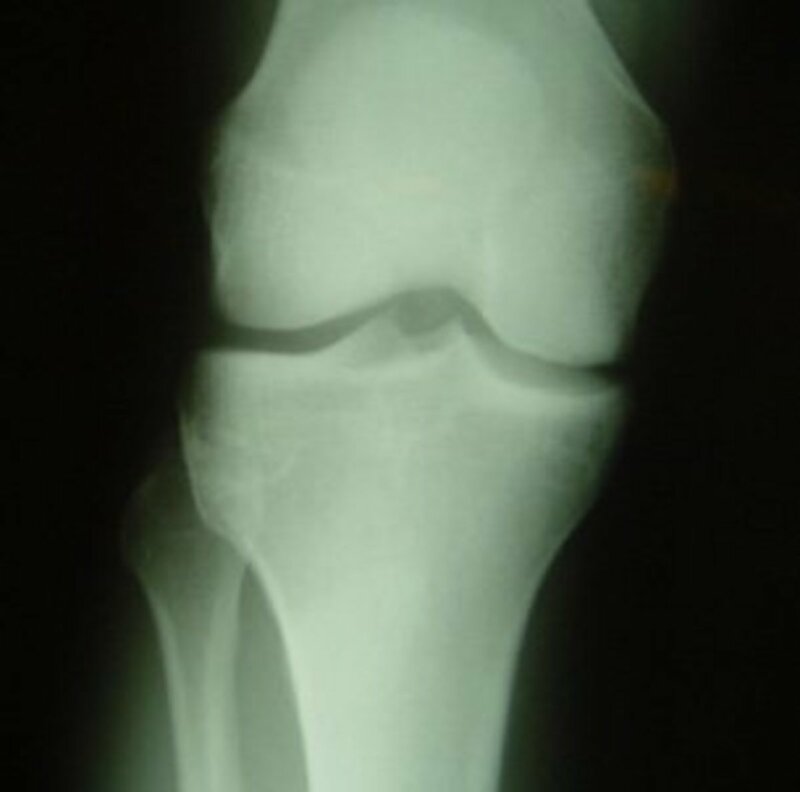 For example, let’s say you’re taking Plaquenil for rheumatoid arthritis. You neglect to tell the technician because you don’t think your medications affect the eyes. Once you get to the doctor, he looks at your eyes and immediately knows you have rheumatoid arthritis because of damage to the retina and asks if you are taking medications. Now, because you didn’t tell the tech, you will have to come back when you aren’t dilated to have a color vision screening and visual field test. Plaquenil can cause a red/green deficiency in the vision, a problem called Plaquenil toxicity. 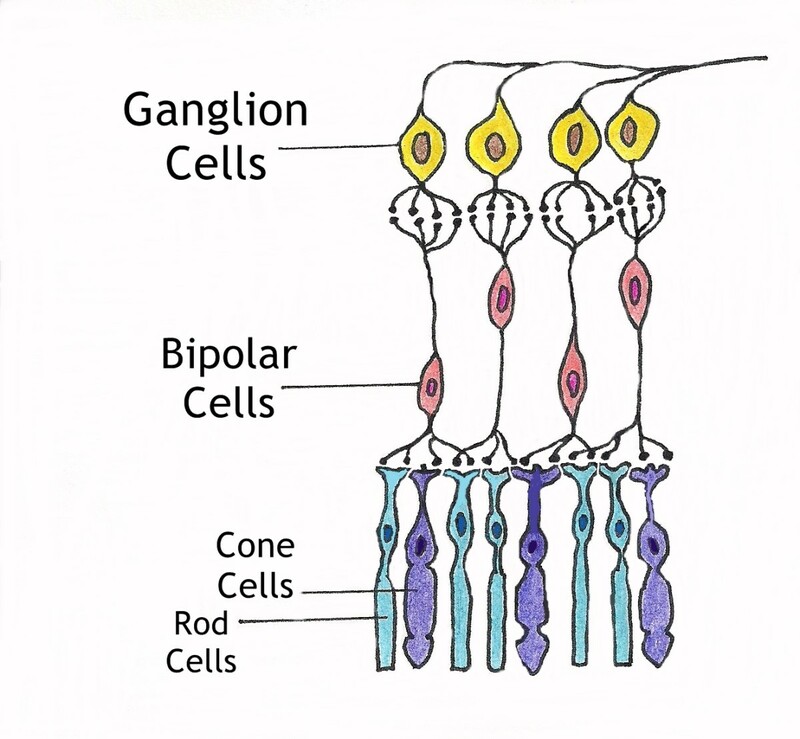 There are a number of medications that can affect the retina and the visual system as a whole. It's very important for you to tell your technician about all your medications including Coumadin, Plavix, aspirin, fish oil, ibuprofen and vitamin E, all of which thin out the blood. Remember to Bring Your Glasses! 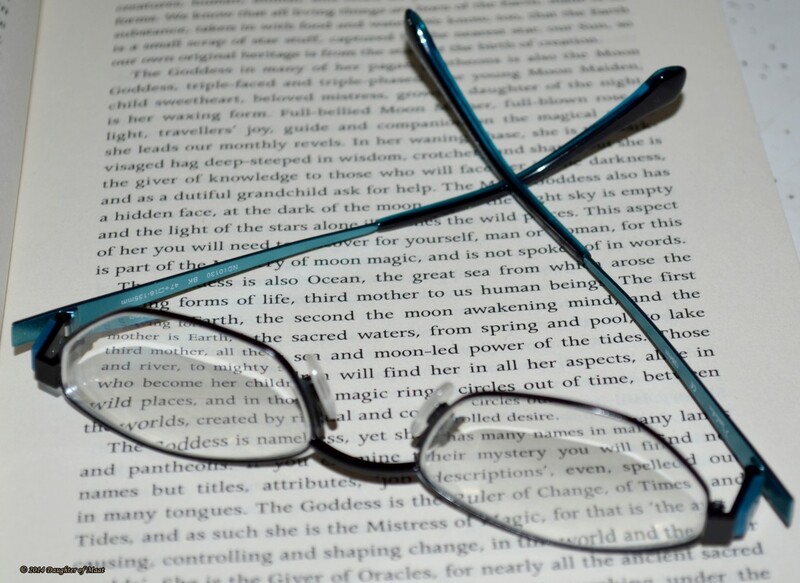 Even if they are ancient, or broken, or a lens is missing, bring your eyeglasses. Having even a partial prescription is extremely beneficial to your tech, and the doctor. If your prescription changes drastically, we won’t know if you don’t bring them. 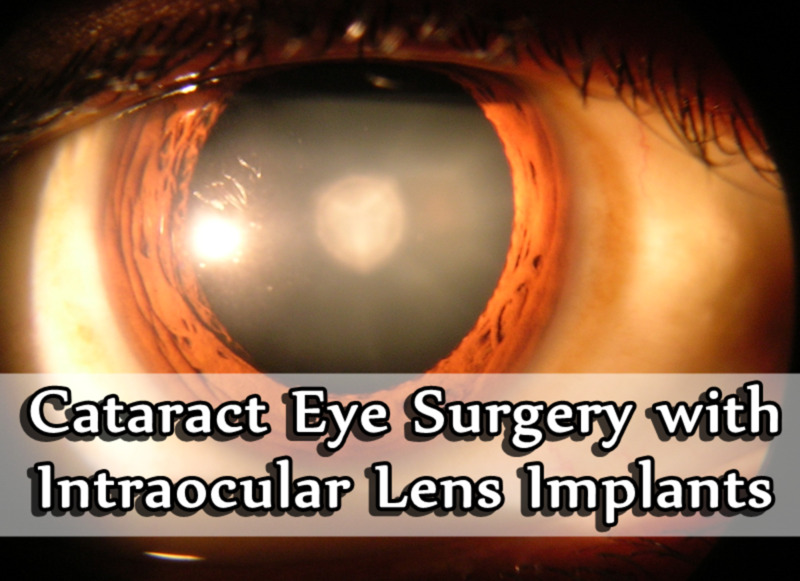 Cataracts have a nasty habit of sneaking up on patients affecting their vision without them knowing. Comparing the old prescription to the new one can signal that more testing needs to be done, which could lead to a vision saving find that would have otherwise been missed. If You Can’t Decide Between One and Two, Say So! Let me explain: After the vision check, your technician will most likely read the prescription in your glasses (some techs do this first), and then refract, or check, to see if your glasses need to be changed. 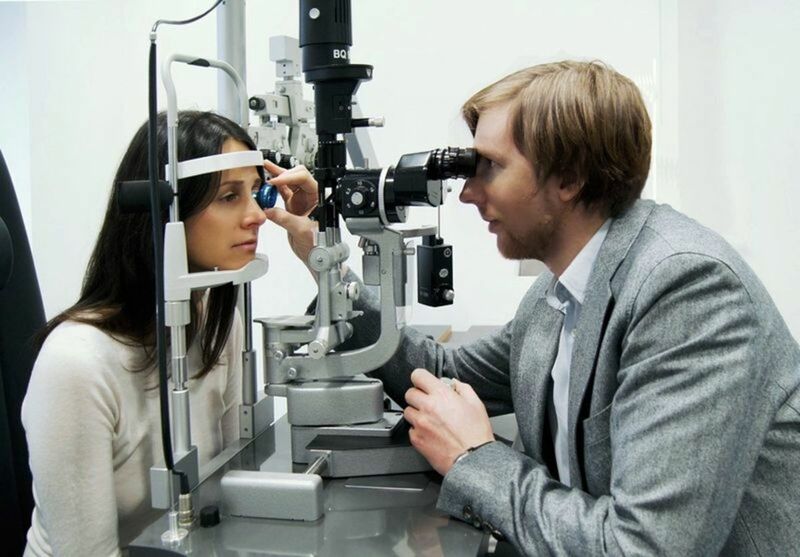 This involves putting the patient (you) into a machine called a phoropter (see photo). Usually the phoropter is preset with your current prescription, or the tech will perform a test called retinoscopy in which they use a light to determine what your prescription should be. 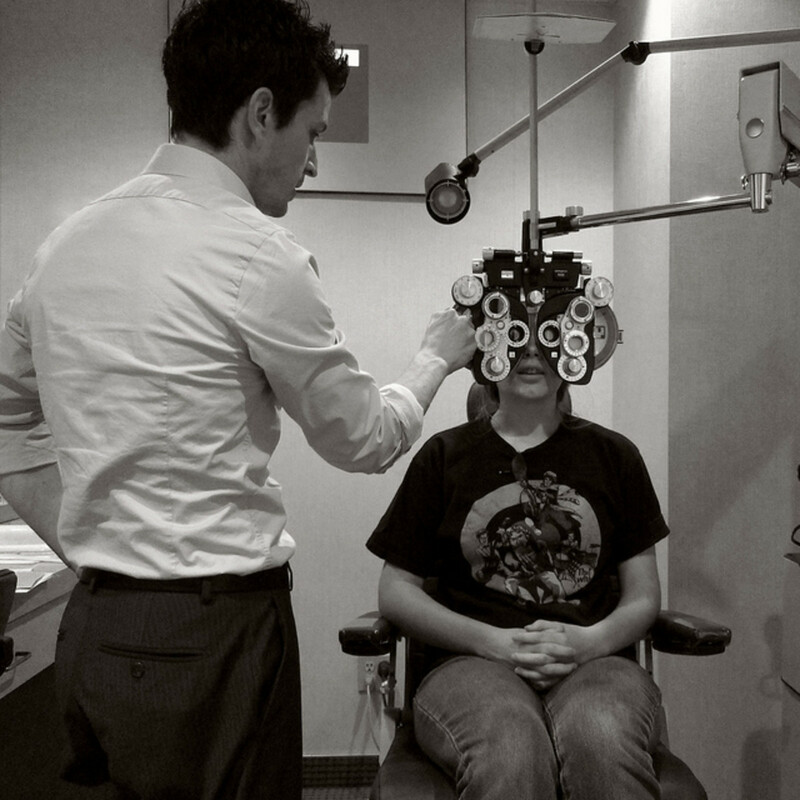 Retinoscopy is the most objective way to get a patient’s prescription, and, in my opinion, the only way. If the tech is good enough, he or she can easily pin down your prescription with retinoscopy alleviating the need for a lengthy and tiresome refraction. Without going into the theory of refraction, refining a glasses prescription is really an art form and involves asking the patient which lens option is better. If you can’t tell a difference between one and two it is because your vision can’t be improved any further, so let the technician know. The differences between the two lenses are meant to be difficult to determine, but sometimes there is absolutely no change when the lenses are switched. It is also important to go with your “gut instinct” when choosing between one and two. If you think about it, and have the tech repeat one and two several times, your eye will have time to focus and accommodate the prescription, which can make the final outcome inaccurate. At the same time, the technician shouldn’t rush you. If you feel rushed, let someone know. You may have to come back to repeat the refraction, but that’s better than spending $400 on a pair of glasses with an incorrect prescription. Some people may not know the difference between hyperopia (farsightedness) and myopia (nearsightedness), let alone know into which category they fall. If you are one of these people, here’s a quick, 2 step trick to figure it out. You’ll need a magazine or newspaper and your glasses. Hold your glasses over the words on the page of the newspaper or magazine, and pinpoint one word or sentence on which to focus. Move the glasses back and forth over the selected word or sentence and notice what happens to the letters. Did the letters get bigger or smaller? If they got bigger, you’re hyperopic. If they got smaller, you’re myopic. If any of the lenses make the letters look smaller and blacker, tell the tech. Smaller and blacker means there is too much power, which can cause headaches and eye strain. Myopes (nearsighted people) have more of a problem with this than hyperopes (farsighted individuals) because of the nature of their prescription. If you are nearsighted, make sure you’re paying attention. It may look clearer at first glance, but in reality it's smaller and blacker, which is not clearer. Unfortunately, this is one of the subtle nuances of refraction with which new technicians always have a hard time. Knowing this ahead of time, can help you get the best prescription possible. Also, try to stay as still as you can behind the phoropter (see photo). The tech will align your eyes in the phoropter prior to refracting you. If you move around after the tech has done this, your prescription won’t be right. Another quick tip: blink! Try not to stare at the chart during your refraction. You need to keep blinking your eyes so that they don't become dry, which actually changes your prescription. The tear film keeps the cornea clear. It's like a window, when the window is dirty (or the cornea becomes dry) your vision will become blurred, hazy and foggy. When you blink, you clean the window and your vision returns to normal. When you do blink, be sure to blink normally. Don't squeeze your eyes shut as this can blur the vision by putting pressure on the cornea. There is much more involved in an eye exam than just getting a pair of glasses. 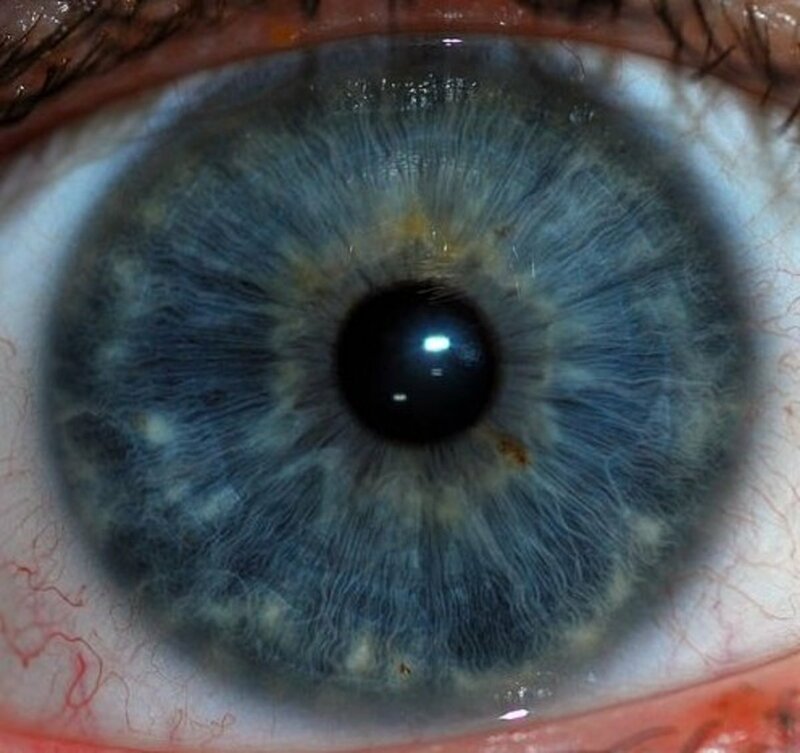 In fact, your overall health can be determined just by looking at the eye. 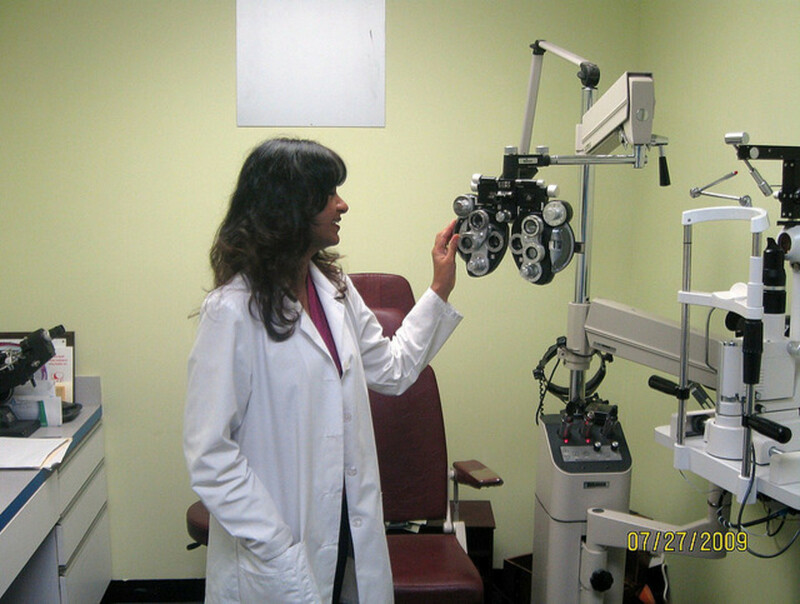 Many diseases, like diabetes and brain tumors, are first diagnosed by the ophthalmologist. With these tips, you can make their job much easier (and your exam a bit less tortuous) minimizing the likelihood that a diagnosis may be missed. Great information. I've had dozens of eye exams and never had anyone tell me what I should or shouldn't be doing during an exam. I wish I had read this hub before my eye examination. I would have been more careful in making sure my prescription was okay. I saw Voltaren in one of the pictures you used. 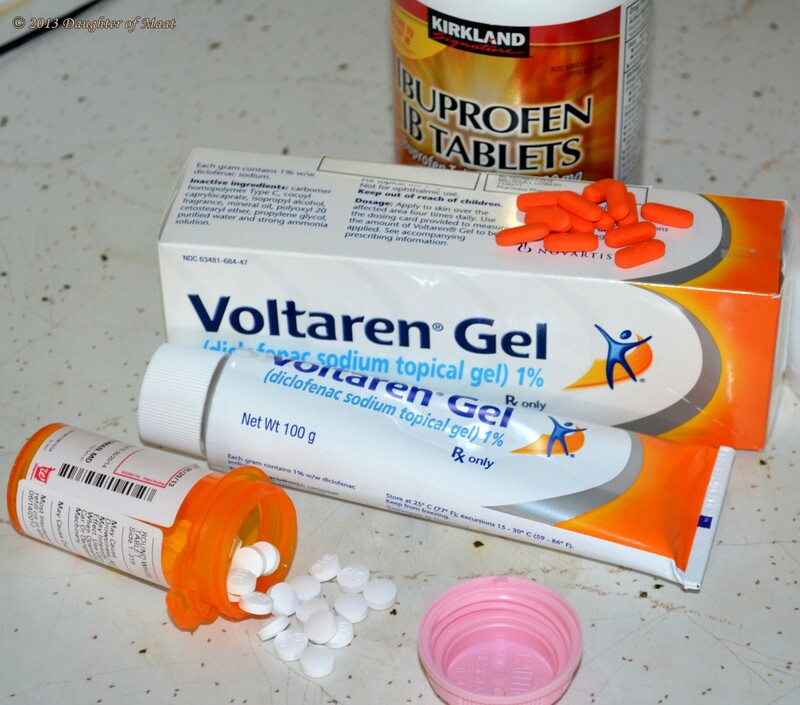 Does Voltaren affect the eyes? @StandingJaguar Indeed, most people performing the refraction don't even ask their patients if the letters are smaller and blacker. For myopes with a strong prescription (over -6.00 diopter) the duochrome test should always be used to ensure the patient doesn't have too much minus power. Refraction is truly an art form, and very difficult to master. Nice to know about the "smaller and blacker" tip for nearsighted folks. I once had to change a prescription (it turned out to be too strong, just like you said) because of headaches. Great tips which will benefit many. @phoenix :D anything for you! Thanks DOM. I seem to remember being given a prescription a while back. I guess I better go and dig it out. @phoenix Why thank you! I don't know how I do it, actually, If I did I'd make a lot more money! Another great hub. How do you do it? I wear gas permeable contact lens 99.9% of the time. Is there anything else I should do to prepare for an eye exam? @billybuc Yep, I poked and prodded in eyeballs for 16 years, and now I get to write about my experiences lol. I've worn glasses all my life as well. I think that's what sparked my interest in ophthalmology. I was always fascinated whenever we went to the eye doctor during my childhood. My mom was grossed out, but I was really into it. There is quite a bit of technology now, some of which is new to me as well, but I keep up to date on everything with my ophthalmic journals, LOVE my journals. A very well written, informative hub. It's really great to get the perspective from the doctor's point of view. Voted up and useful. I didn't know this is what you did for a living! I have worn glasses since I was five years old. I hadn't had my glasses check in the last ten years, and just went in for an exam and I couldn't believe the new technology...it was a brand new experience for me, and that's saying quite a bit. Anyway, very interesting hub my friend. useful share. this reminds me. I need to make an appointment for an eye exam. It's been a while.